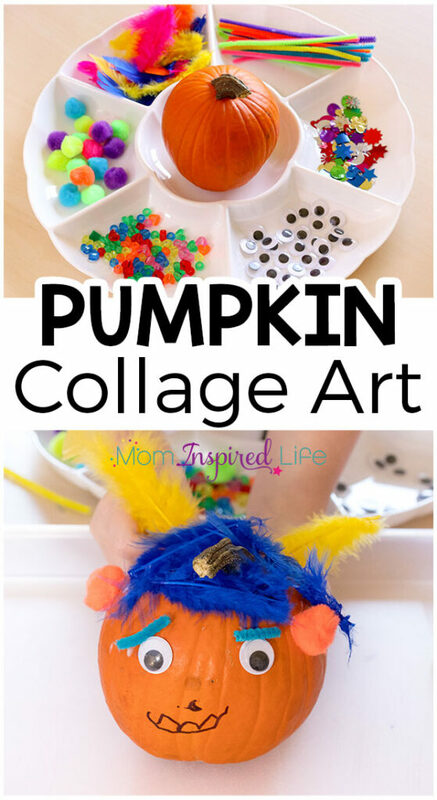 My kids had a blast with this pumpkin collage art activity! It’s simple and totally open-ended. 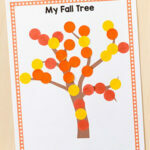 This fall art activity is sure to be a hit with your kids! 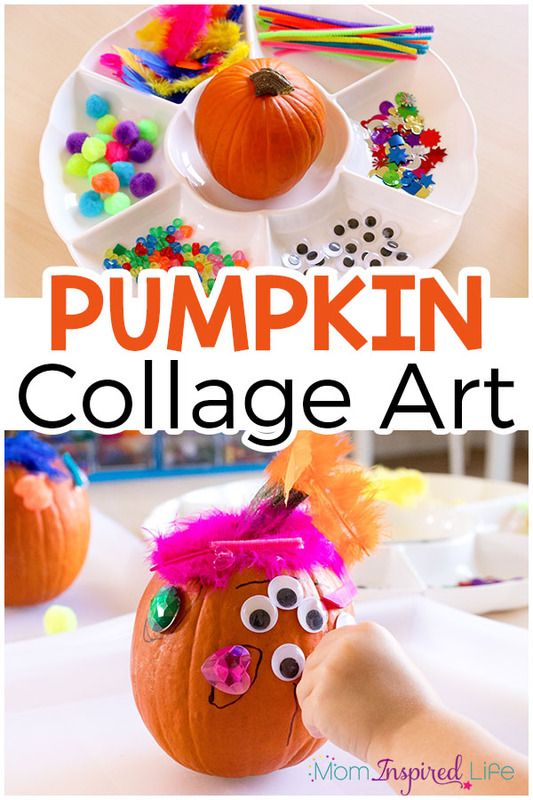 If you are looking for a pumpkin-themed art activity, look no further! Seriously. This one was a total hit! 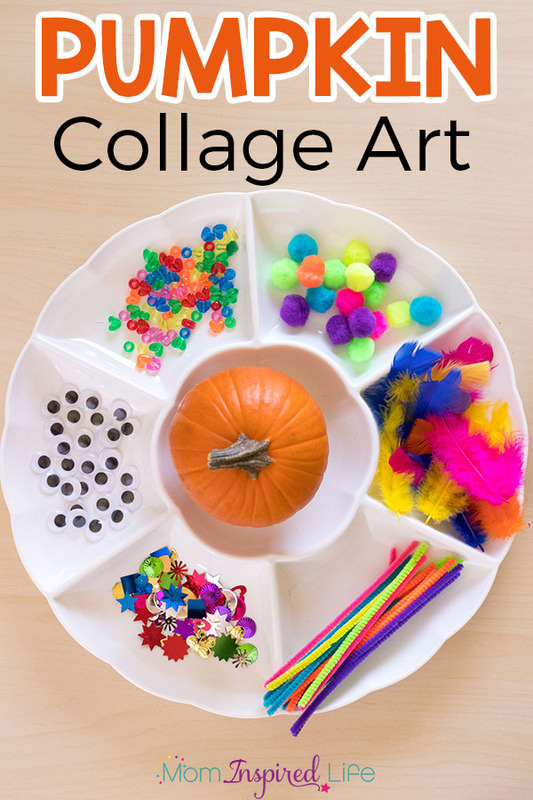 We love a good collage art activity and this one definitely did not disappoint. 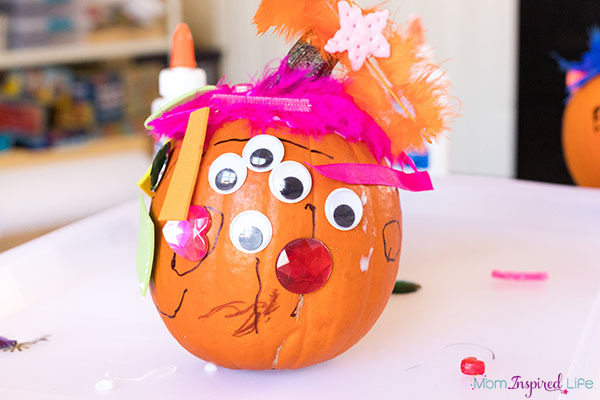 My were thrilled to be able to decorate the pumpkin any way they wanted. It was amazing to see their creativity shine! 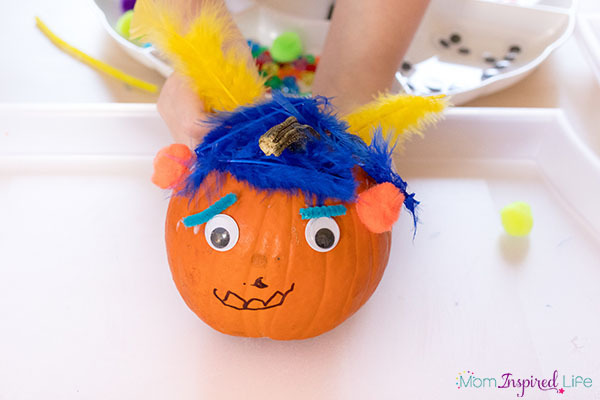 While decorating the pumpkins, the kids were developing fine motor skills. Squeezing the glue bottle, cutting supplies, and placing small pieces are all great ways to develop those small hand muscles that are so necessary to handwriting. This is also a great way for kids to develop confidence. 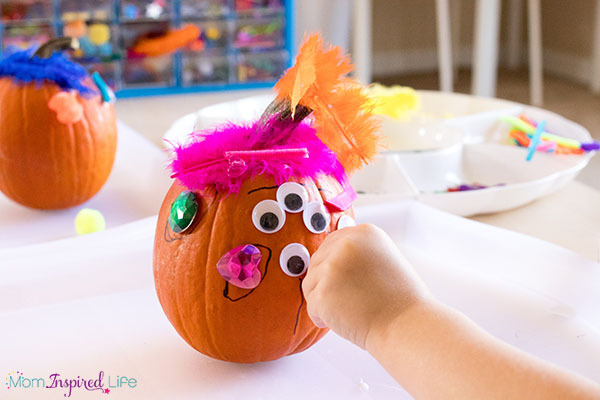 Because the activity is totally open-ended and doesn’t have to look any specific way, children don’t feel pressure to be perfect or feel down on themselves if it doesn’t turn out a certain way. I love that! Any other small craft supplies you have around. 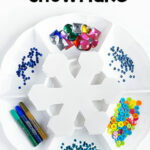 We love using this arts and crafts center from Lakeshore Learning! 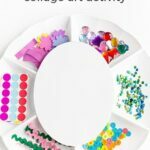 It is jam-packed with awesome materials for collaging. We have been using it for months and it is still full of supplies! I like to put all of the supplies in a tray with compartments. That way the kids can see the supplies and easily access them. Now it’s totally up to the kids! 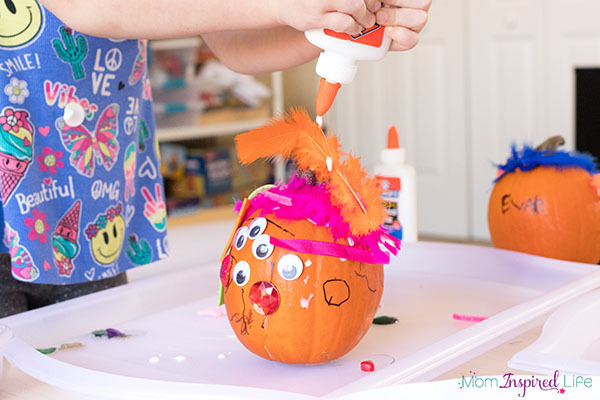 Let them freely create and decorate their pumpkin any way they want to. I bet their creativity will surprise you. 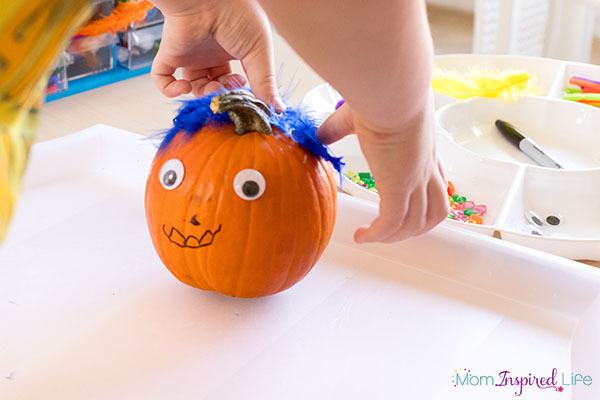 My son had a vision and focused so well on making his pumpkin look they way he wanted. My daughter, on the other hand, went crazy with the supplies and just put things all over. I think both turned out awesome! Honestly, I was a bit bummed that I didn’t pick up a pumpkin for myself so that I could join in too. I love having these pumpkins on display in our home this fall season. I think we are even going to do a few more in the next couple of weeks. 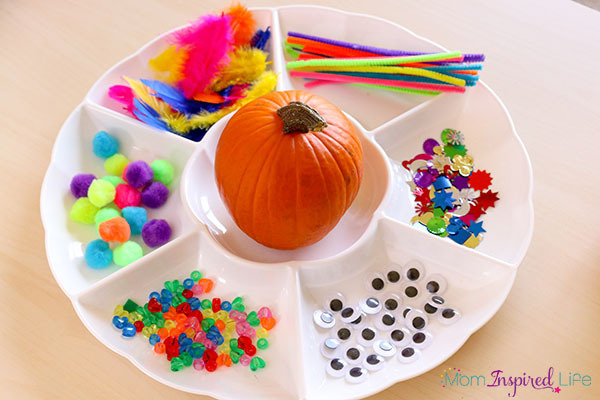 Here are some more pumpkin activities!